On August, 18th, 2013, I sent my first email broadcast to those on my list. I felt both nervous and excited. Up to this point, I had put off starting an email list. Like many others, I regret waiting so long to get started. How many people did this email go out to? By the time email no. 6 went out, my list had grown to 119. Things started to really pick up pace. and as of today, 70+ people subscribe every day. I have made email marketing my number one priority for both this site and my site for English learners over the past two years. And for good reason. Without email, I wouldn’t be able to to be in the position I’m in. Email marketing has allowed me to build a passive income selling my online courses. More specifically, it has helped me scale and automate the selling process. If you have a teaching business – or any business – and you’re not currently using email in your marketing strategy, I highly recommend you make it a priority. … My friends over at Real Life English had a very popular Facebook group (over 100,000 learners). It drove a lot of traffic to their site and helped them grow their business. However, one day, the group was suddenly deleted. Just like that, it was gone. And after contacting Facebook support numerous times without reply, they knew it wasn’t coming back. Luckily, they had made email marketing a priority. They had used the group to build an email following. They realized the importance of focusing on building on steady grounding. Social media sites come and go. Platforms change their algorithms. Groups get deleted. Think about those who built up a following on MySpace? Or the Spanish site Tuenti? Or on other sites that have come and gone? They don’t have anything to show for it now. All the work that went into growing an audience on those platforms was wasted. Don’t take what I’m saying here too far. Social media helps you grow your business. But make building your email list a priority. Invest your time into something that you own. 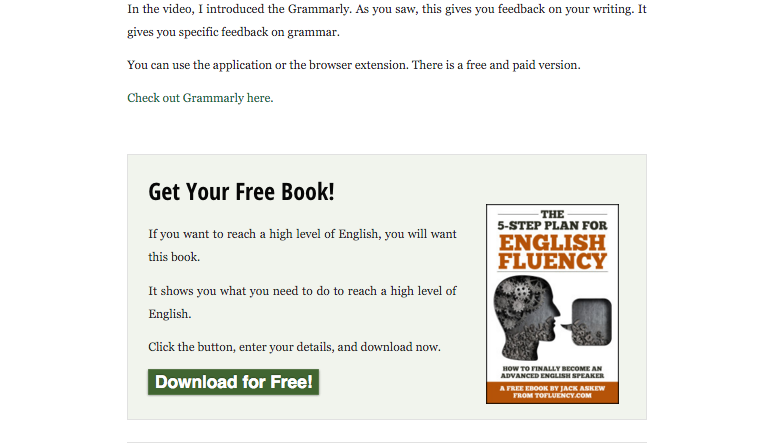 When I launched my first course for English learners, the platform on which I hosted the course promoted it heavily. I was, obviously, very excited about getting an extra boost – in fact, I was expecting big things from them. However, here is a breakdown of where sales came from for that course. As you can see, email sells. The majority of people process every email they get – Tweets, Facebook posts etc. come and go. Algorithms change and many people are finding it tough to reach their audience organically on social media. The way you communicate by email is different from communication through advertising and social media. You are sending personalized messages (en masse). Think about the different way in which you write a message vs. posting something on someone’s Facebook wall. It’s different, right? 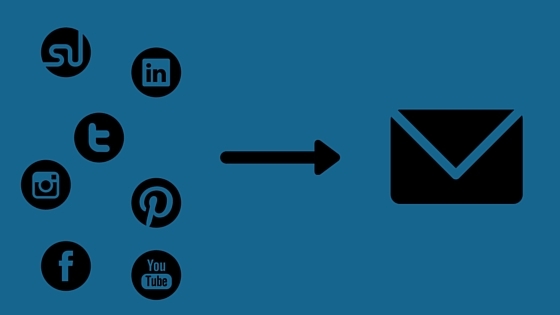 Email marketing allows you to communicate in a very intimate and personalized way. Email software has got more sophisticated (see below for my recommendations). We can send very targeted messages based on user data and actions. The aforementioned course was promoted to the email list that I had built up over time. I had sent out valuable content to them, building trust with my followers. I promoted my course through six emails sent over five days. Everyone got these emails at the same time (more on launching a course later). Let’s say you have a product or a service that people find valuable. Like any business owner, you want more sales. So you set up a Facebook advertising campaign and send people to your sales page. This is the wrong way to do it. Sending cold traffic (people who don’t know you) straight to your offer rarely works. People land on your sales page, take a quick look around, but because they don’t know who you are (people buy from people they know, like, and trust), they leave. What’s more, you haven’t captured this lead. You can’t follow-up with them. Here is what I recommend you do instead: send potential customers through a sales funnel – one that leads people through a very specific process. 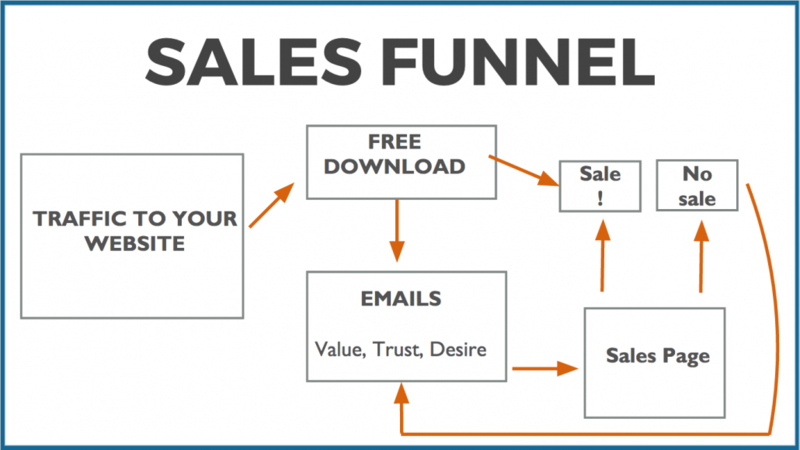 And, once you create a series of emails (your sales funnel), you can scale this process. This is all automated. … in order to use email marketing in your business, you’ll need to sign up with an email service provider (we’re not talking about using Gmail here!). I used to use Aweber. I’ve tried MailChimp. And now I use Active Campaign (AC). The reason why I changed to AC – and why I highly recommend it – is because it offers advanced features for Aweber/Mailchimp pricing. And it’s very simple to use once you get the hang of it. If you’re not interested in learning the ins and outs of AC, just click the link above and sign up for a trial account. If you’re new to email marketing or an advanced user, you won’t be disappointed. It’s sophisticated: your automated responder series can be flexible depending on user actions. For example, if a user doesn’t open your first email, you can send them a reminder of this before they go to email two. This is just the tip of the iceberg. Your business won’t outgrow this software. It’s simple to use: if you have used Aweber and have tried to create a second autoresponder series, you’ll know how difficult this is. With AC, you can have one list and create as many series as you please. Additionally, everything is visual which allows you to see exactly what is happening. The support is excellent: they have useful tutorials, live chat, and a new forum where other users help you with anything you’re struggling with. Click here to get started with Active Campaign. What is a broadcast? Put simply: you write an email and click send. Like I mentioned before, I use broadcasts when sending out updates, launching a new product, or running a promotion. They instantly receive a welcome email. You’re happy. They’re happy. One, two, three, or how many days later, they receive email no. 2 in the series. Then after a specific time, email three, email four, and so on. You write all the emails in advance and specify the space between each email. When someone signs up, they will automatically go through your series of emails in the correct order. This is how we can automate and scale our sales process. The emails you create lead your potential clients/customers through a specific sales process. A process that – if you set this up correctly – turns a cold lead into someone who can’t get through the checkout process fast enough. The type of emails you include in your autoresponder series will depend on what you offer and your audience. For example, the way you market a $5 ebook will be different to the way you market a $1,000 course. But the goal here is to gain the trust of those who opt-in, offer value in your emails, and build desire for what you offer. And keep giving people the opportunity to buy. If you don’t have anything for sale right now, still consider creating an autoresponder series. You can send people your best stuff over a series of emails. This offers value upfront, helps you build your brand, and puts you in a good position once you have something to offer. If you haven’t been doing this yet, are you starting to see how powerful this is? I have various autoresponder series (automations in AC talk) running all the time. I have two running that focus on selling my courses. Others focus on building long-term relationships. The type of autoresponder series you run depends on what you currently offer and your goals. If you want to make more sales (for courses, lessons, or anything you offer), then building desire for your courses (through value-driven emails) and persuading people to buy is a strategy that you’ll want to introduce. And because this is all automated, you can scale it. I have launched various successful products. 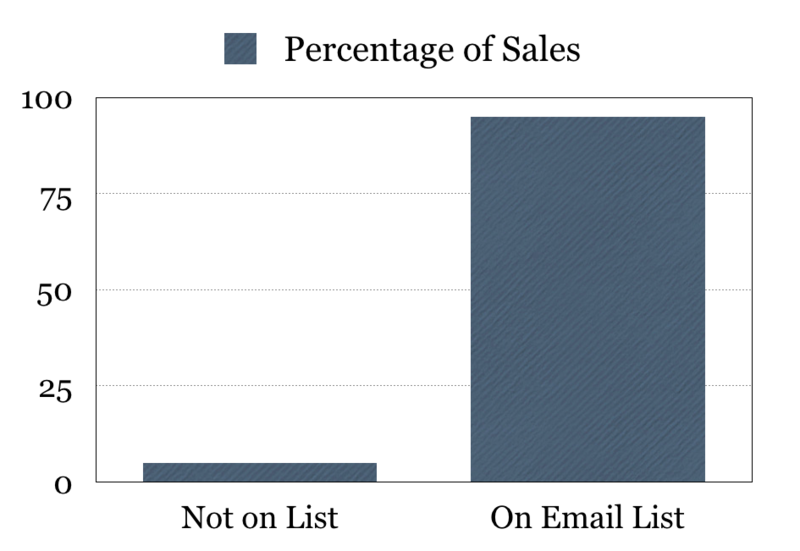 Just like my first course, around 95% of my sales come from email. Build up to your offering. Don’t just spring it on people – instead, build excitement about your new product through email broadcasts. If you’re launching over one week, then send an email each day and two on the last day. This might seem like overkill, but your sales will be much higher. If you feel bad about sending out so many emails to people, and worry that it will turn people off long-term, give them to option to opt-out of your sales push. And be yourself when selling. Follow-up with people who show intent to buy (checkout visits) – again, this can be done automatically through automations using Active Campaign. If you’re struggling to come up with an email marketing strategy, start with the end in mind. What do you want right now? If you want more sales for your courses and/or services, create a sales funnel. If you want to build up your YouTube channel, send people to these videos. Write down what you want to get out of this and create a strategy that will help you achieve that. Okay, you’ve got the software and now you have a strategy, it’s time to build that list. Getting people to sign up to your email list should be one of your top priorities. Why? Because of the reasons I outlined at the beginning of this article (automation, ownership, and ROI). When designing your site, do so with the first-time visitor in mind. As you want your visitor to sign up to your email list, make this easy for them to do. In fact, offer them a lot of opportunities to do so. Here is an example of a sign-up form at the bottom of one of my posts. At this time, I’m not including pop-ups. I won’t go into the ins and outs here, but we need to strike a balance between optimizing signups and user experience. And don’t worry about annoying return visitors. Those who know your site will ignore your opt-ins and know where the juicy stuff is. What to do now: Take a look at your site and make changes to push more people into signing up. You’ll Never Guess, But, People Like Free! 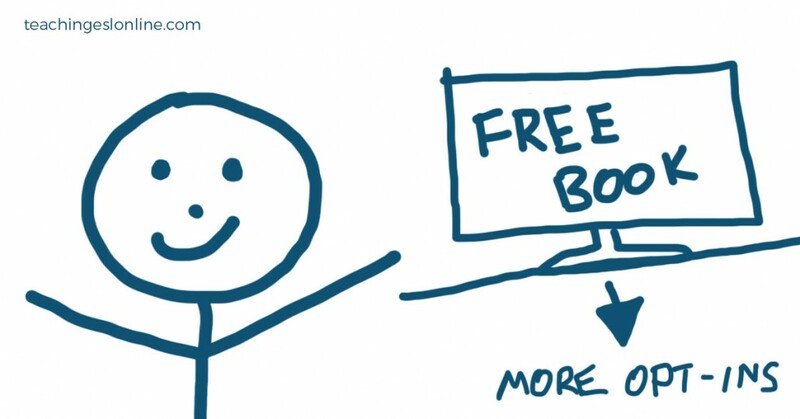 Instead, offer something for free. This will do wonders for your signup rate. People don’t just give their email away for nothing. They want something in return. Let say that you teach Spanish online. Your free download might be, “12 Spanish Expressions that You Won’t Learn in Textbooks.” If this guide is valuable, then your reader will want to know more about you and what you offer. 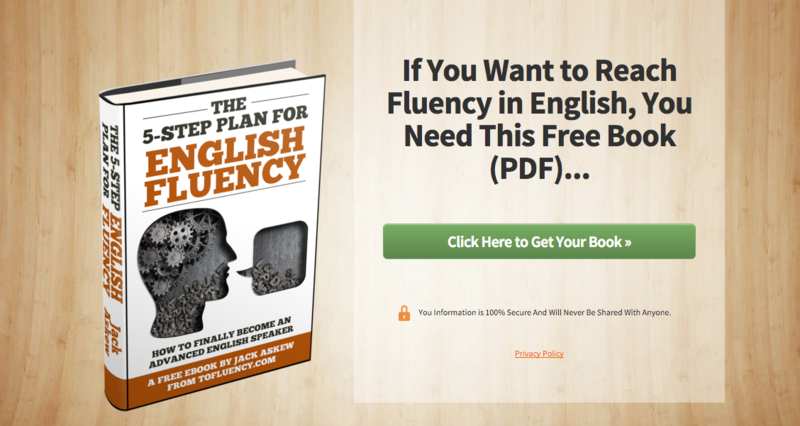 …imagine that you include three bonus tips on how to learn Spanish in the download. One of those tips is to take lessons with a teacher in order to practice and get feedback. Guess what? You offer Spanish lessons! You have linked a solution to a problem your learner has. And that solution – if you do a good job selling yourself through further emails – is to take a lesson with you. If in doubt, keep it short. You can always expand on it at a later date. There is some work to be done here. But it’s worth it. Get your free download written and watch your opt-in rate shoot up. People will sign up to your email list by either completing an opt-in form on a regular page (about page, blog post etc) or on a landing page. In relation to email marketing, it’s a page with one objective: to get people to opt-in to your email list. Let’s say you have a YouTube channel, and at the end of the video, you’re sending people to your homepage. That’s what a lot of people do. The problem is this: when you send people to your homepage, they’ll have a look around and then leave. What you’re doing is attracting browsers. Instead, send people to a specific page where they can only do one thing: download your book/guide/pdf/course or whatever you offer for free. There is no menu bar. No sidebar. There are only two options: opt-in or exit the page. On average, around 50-80% will exit. 20-50% will opt-in. You won’t get anywhere close to that if just send people to your homepage. And once people opt-in, you can send them through your autoresponder series. Again, we’re using email to build a true audience. (note: if you offer one-to-one lessons/coaching/consulting, you have two options: send people to get your free download or send people to request a free consultation. In both cases, use a landing page). Test headlines, copy, images, buttons etc. To truly know what works, you’ll need to test it. Don’t give options – it’s either opt-in or leave. Use a two-step opt-in. This is where they click a button first and then enter their details. I use and highly recommend LeadPages. They have countless templates, it links up with all major email service providers, and you can use it for opt-in forms too. Check it out! Survey Your Audience: Email marketing is about listening as well as giving. Ask those who sign up to your list what problems they have. If you’re creating a product, survey your audience to see what they want included. Engaging with your audience goes a long way. Be Unique: As email is more personalized, there is no need to be all corporate. Be yourself and make your emails fun, engaging, and unique. This is especially important if you are your brand. Keep improving your sales funnel: As you learned before, your autoresponder series allows you to scale your marketing efforts. Test things to improve your conversion rate. A 50% increase in conversions due to headline change leads to a 50% increase in sales (if everything else is equal). Follow Laws and Regulations: Read this and follow the guidelines. Follow AIDA: Attention, interest, desire, action. Get people’s attention through your headline. Gain their interest at the beginning of the email. Build desire. And then, get people to act. Check your emails before sending: Proofread your emails before sending them. Use Grammarly to help you with this. Send a test email to yourself and see how it looks on different devices. And test your links! Stay consistent and build momentum: At first, I was getting around 30 subscribers a month. Currently, I’m getting just under 3,000 (excluding advertising). It takes time to get things moving. Keep at it, keep improving upon what you have, and think long-term. If you have any questions, please leave them in the comment box below.